The Wilson Staff single yellow dot squash balls are premium performance balls that deliver consistent bounce and response and good playability. These balls have been approved to World Squash Federation specifications and the single yellow dot signifies slower play. Supplied in this pack are three of the Wilson Staff single yellow dot squash balls. for submitting product information about Wilson Staff Single Yellow Dot Squash Balls - Pack of 3 We aim to answer all questions within 2-3 days. 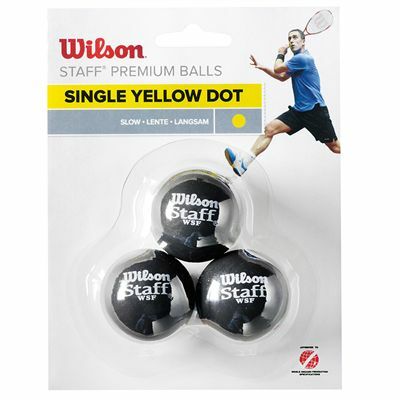 for submitting product information about Wilson Staff Single Yellow Dot Squash Balls - Pack of 3. We aim to answer all questions within 2-3 days. If you provided your name and email address, we will email you as soon as the answer is published. 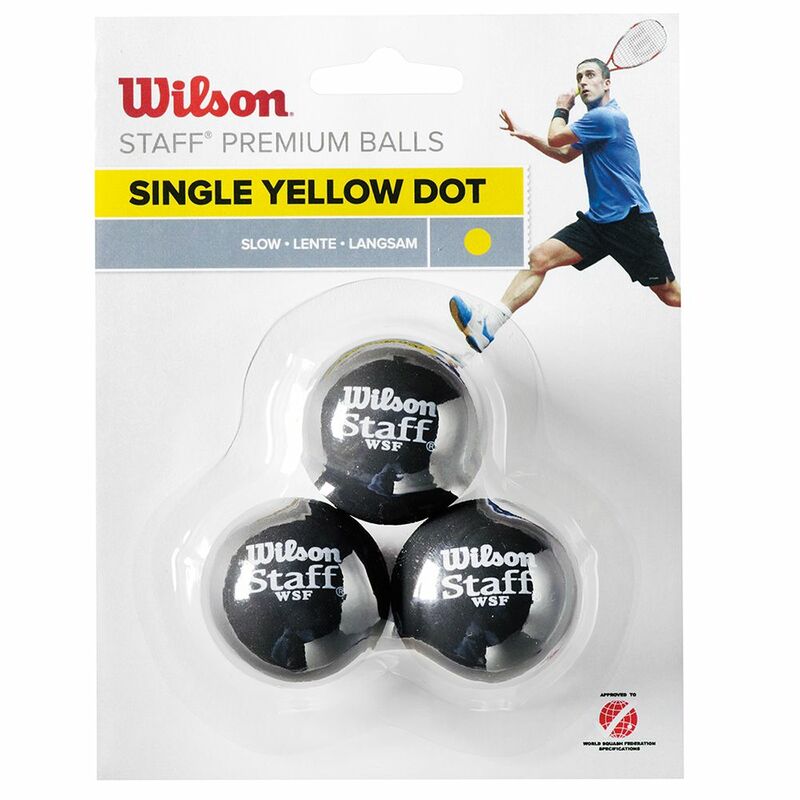 for submitting product review about Wilson Staff Single Yellow Dot Squash Balls - Pack of 3.